Two days this week , there was a lot of quilting going on! We finished my twin size string quilt out of the farmers daughter jelly rolls..2 jelly rolls, one white jelly roll and some black gingham yardage .. 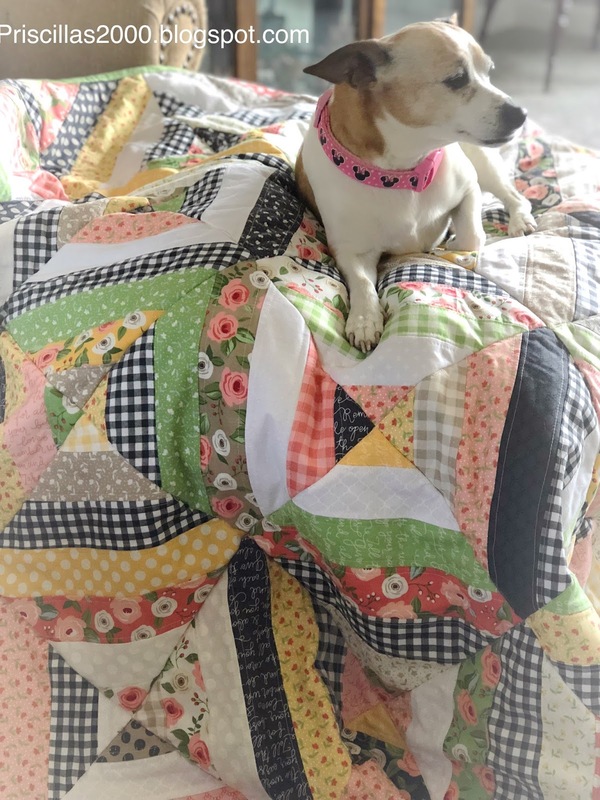 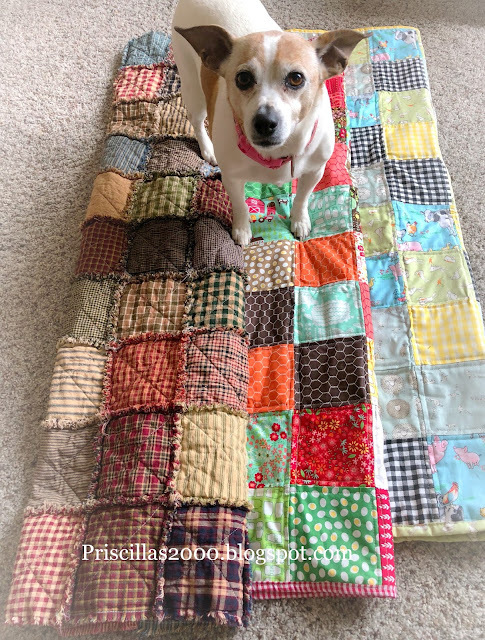 I use the quilt as you go method where you sew the strips onto batting .. it was easy and fun ..when you attach the backing you just quilt the back with big squares ... Love this quilt! Chelsea and I also sewed up 3 baby quilts .. one rag quilt from Homespun .. 2 layers of homespun with a piece of batting inside each ..
another farmy baby quilt from this charm pack ..red gingham binding and backing ..
the rag quilt before cutting and washing.. 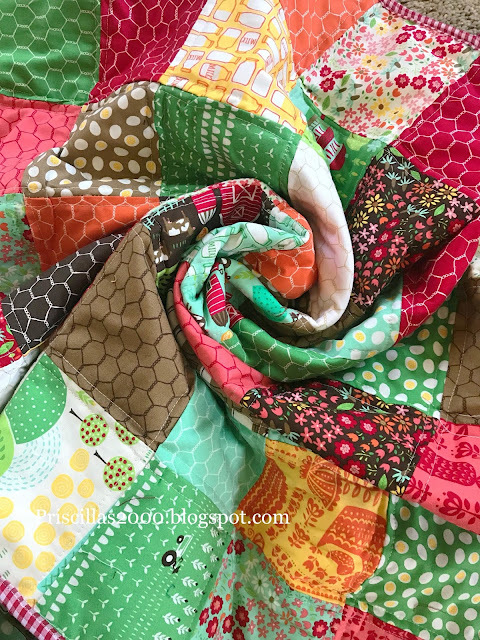 Here are the 3 baby quilts.. an awesome viewer of our You Tube channel sent Chelsea some baby fabrics with bunny and sheep that we used on the 3rd quilt ..we added some black gingham and yellow gingham ..and it is just the sweetest! 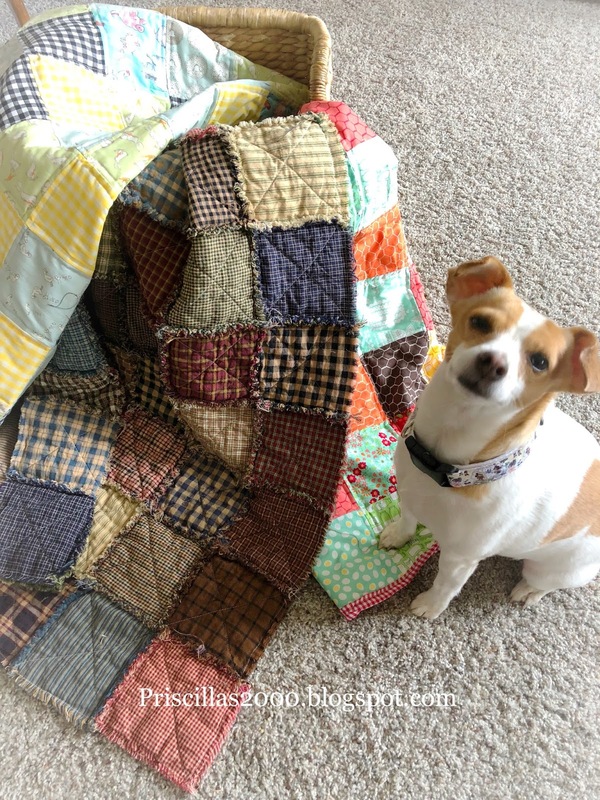 We did a scrappy binding on that one using all the fabrics.. 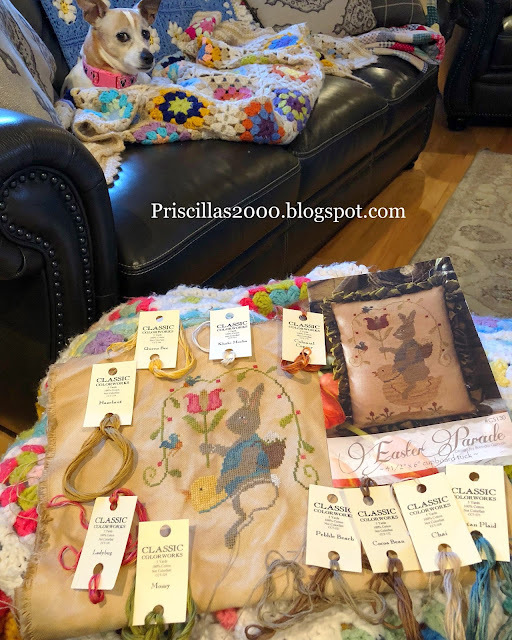 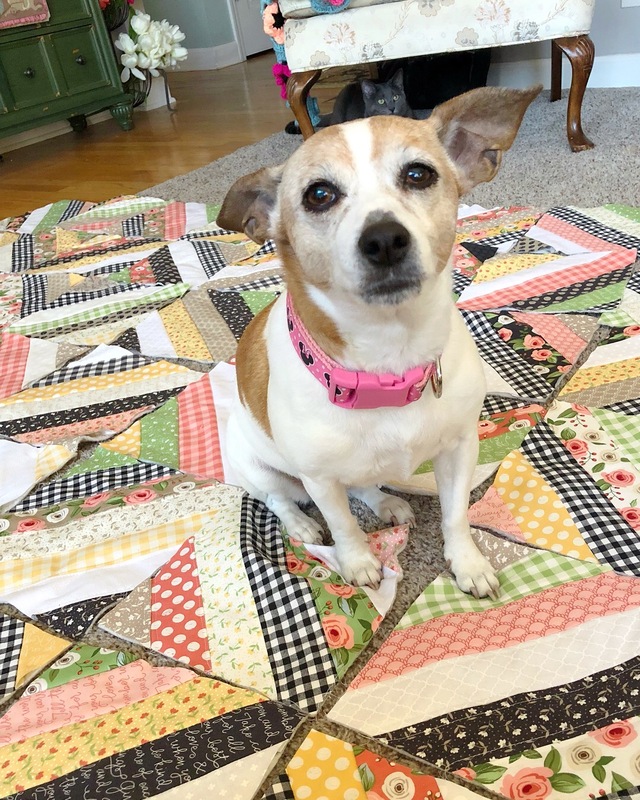 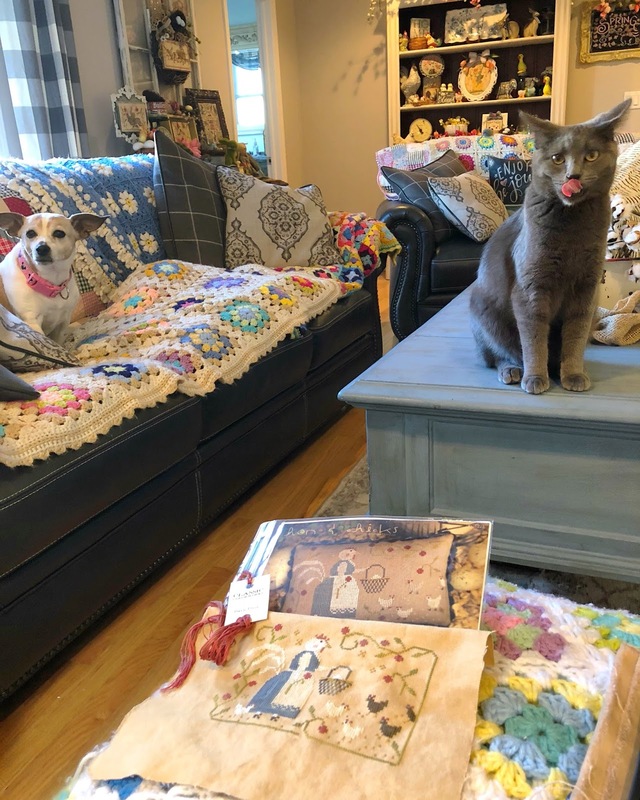 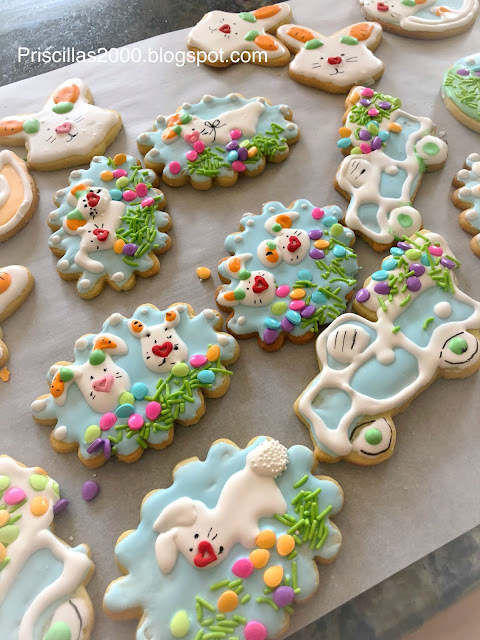 There is still a power struggle around here over who is top dog ..
You can see the quilts , and how they are displayed in my home tour video ..
Today I made the Easter cookies .. 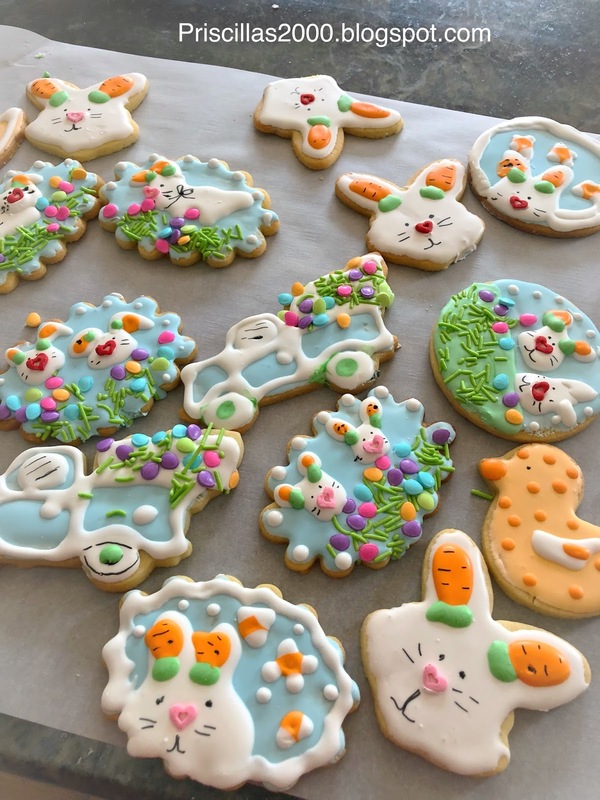 I found these egg and grass sprinkles at Walmart and had to use them! 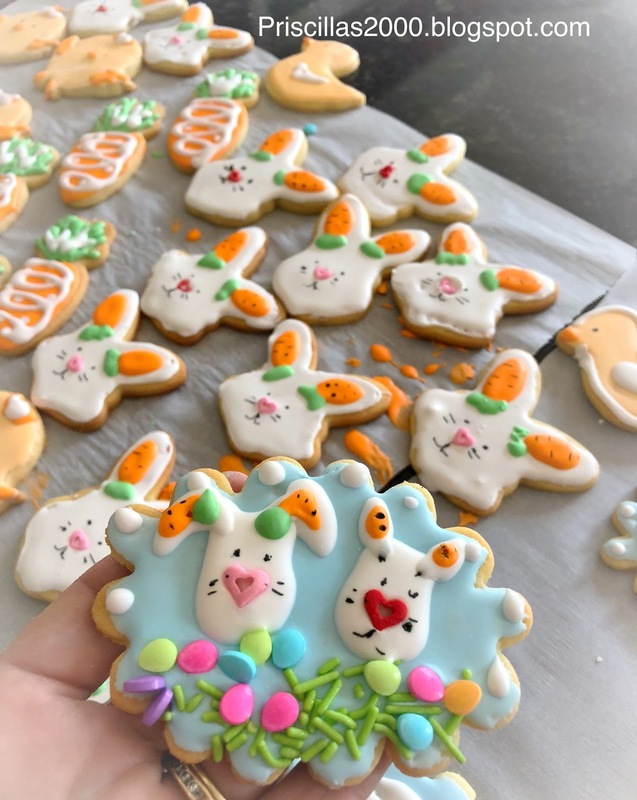 Bunnies with upside down carrots for ears.. 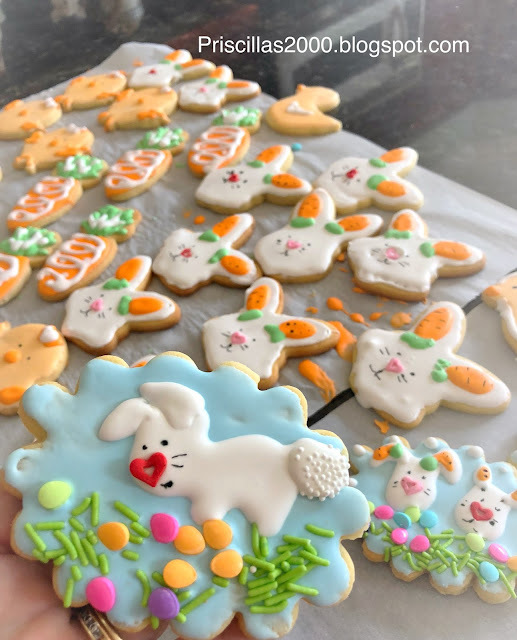 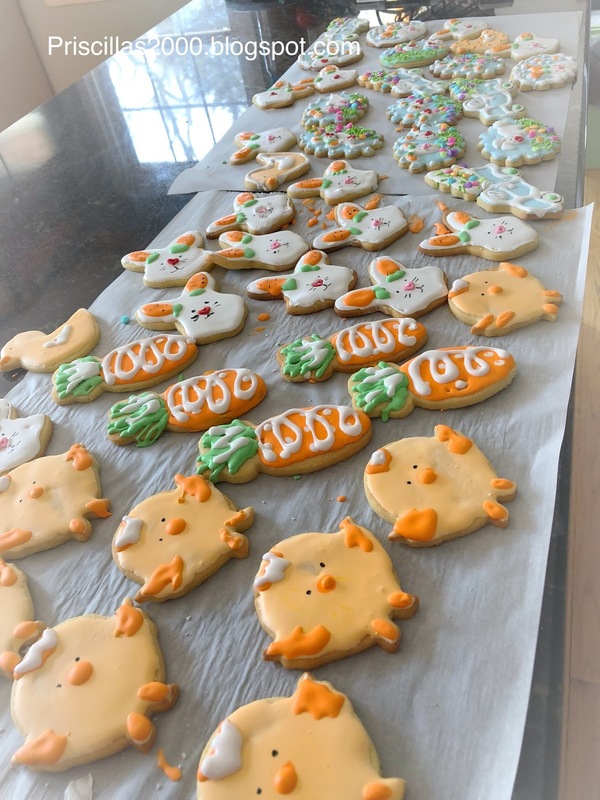 I use Mrs. Fields sugar cookie recipe .I doubled the recipe to make this many cookies..I use Wilton meringue powder and the recipe on the container for royal icing ..
carrots.. chicks..and trucks filled with eggs and grass..
We filmed a spring home tour for you all.. click the photo below! 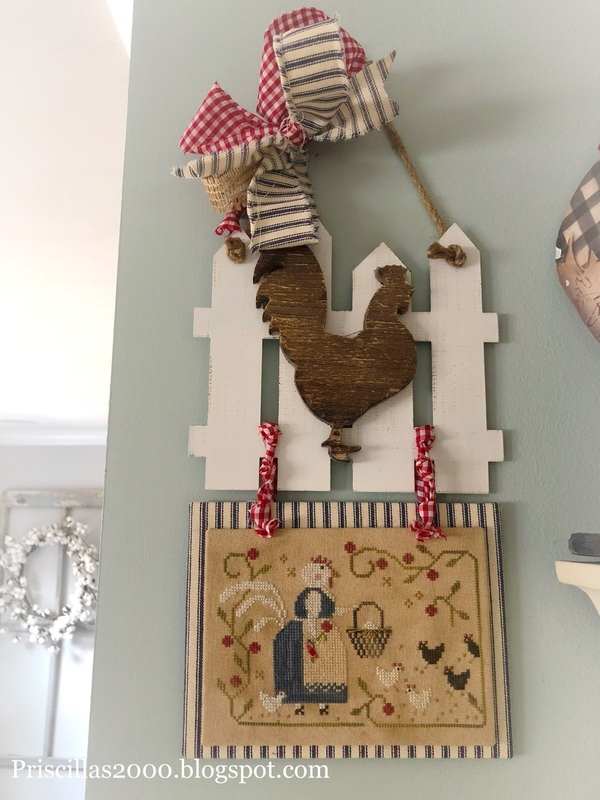 There's a New Chick In The Kitchen! I finished stitching Hen and Chicks from With Thy Needle and Thread yesterday .. and finished it all up for the kitchen wall this morning.. 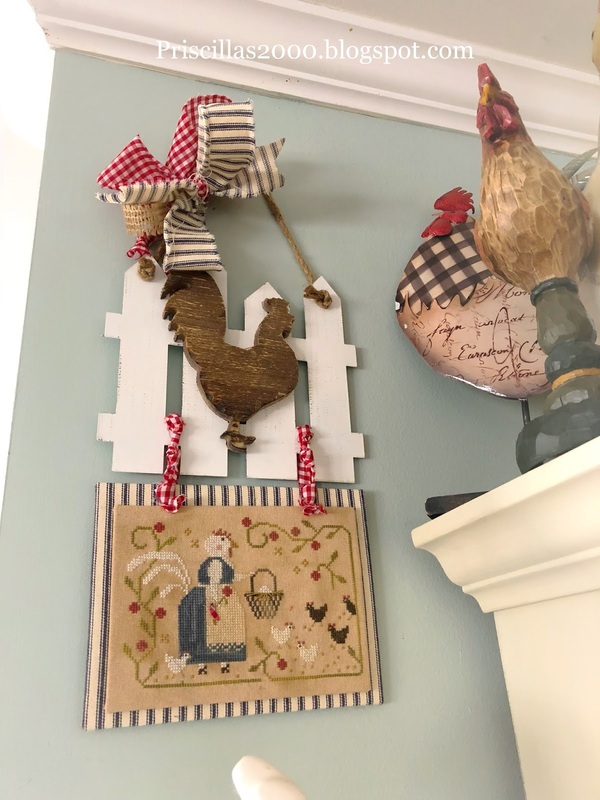 I found the fence with the chicken on it at Hobby Lobby .. this will hang in the kitchen all the time , not just for spring . 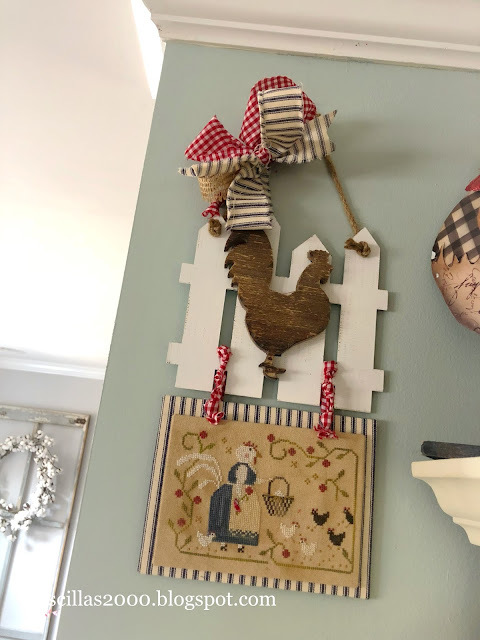 I mounted it on sticky board.. and then mounted blue ticking to sticky board ...glued them together and added knotted pieces of red gingham to attach to the fence..
A bow of burlap ribbon and torn red gingham and torn ticking .. 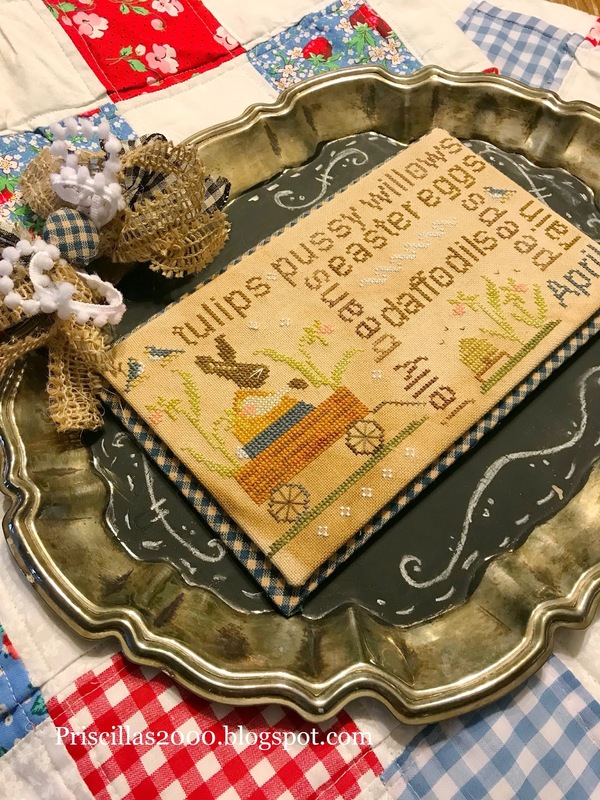 I stitched it on 28 count tea/ coffee dyed evenweave .. 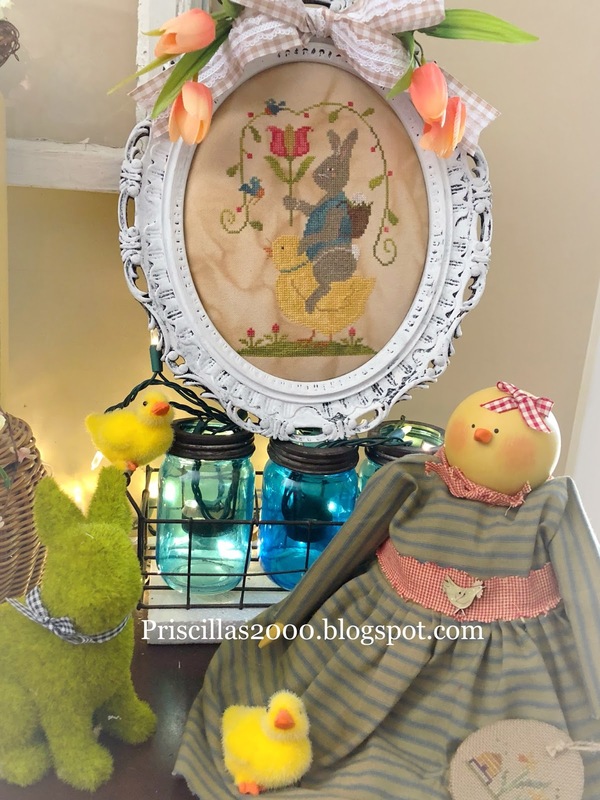 I also stitched some of the baby chicks in Hickory sticks.. 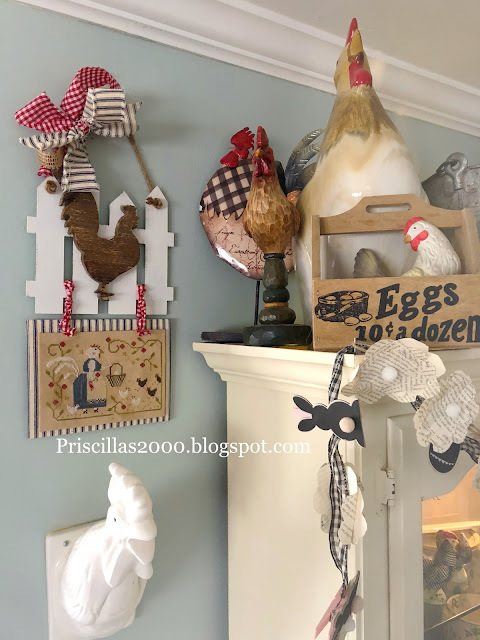 I love it ..and its perfect for my kitchen full of chickens! 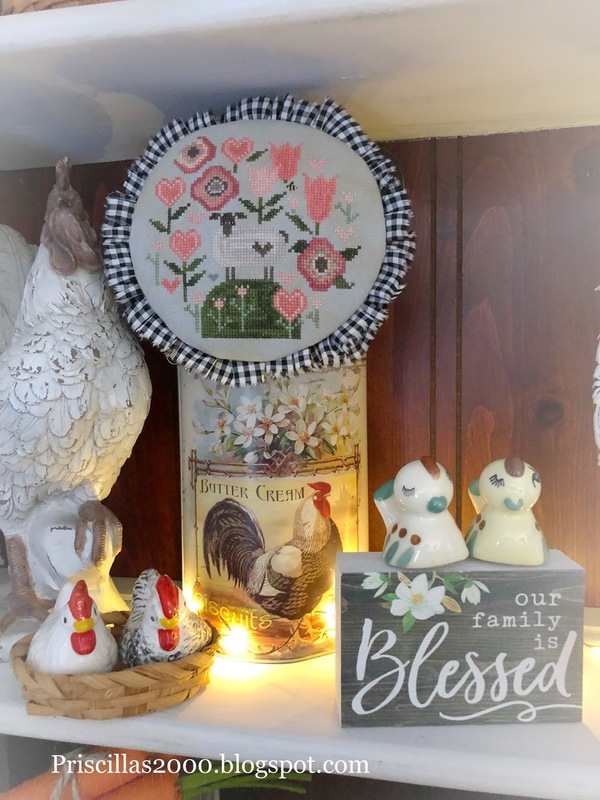 Please join us for our Bless our Home stitchalong ...details in the video below! 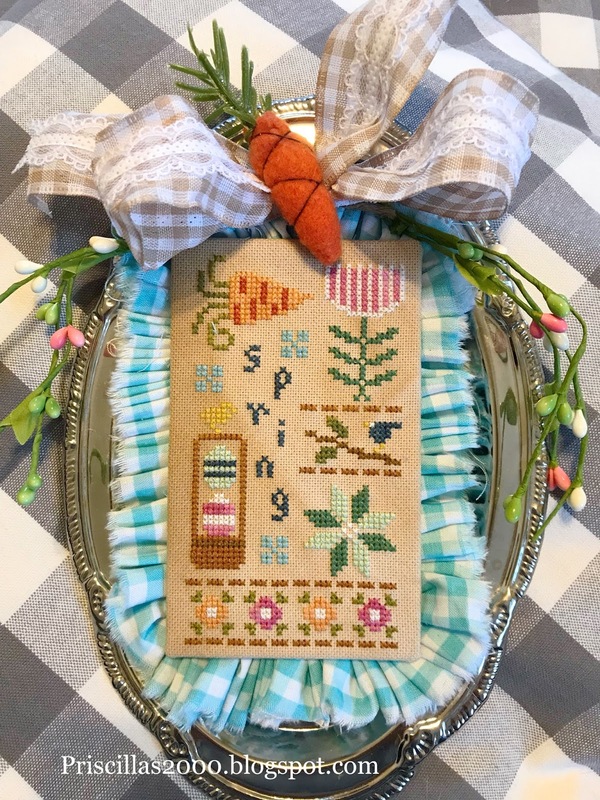 I finished stitching Woolemina from Plum Street Samplers last night . she was only a couple of days worth of stitching ..and she is adorable! 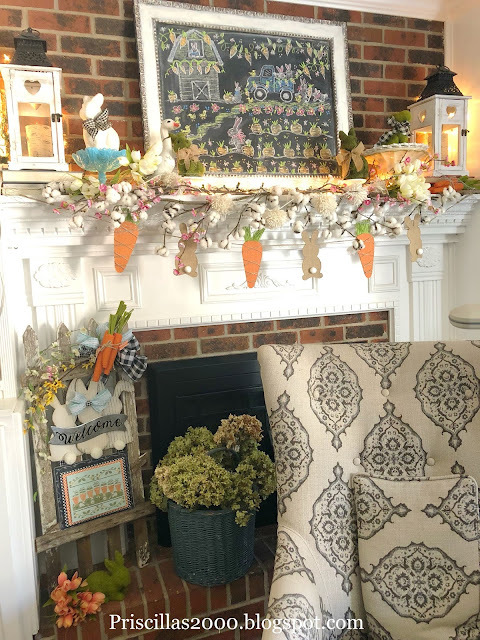 I used the called for colors on the flowers .. 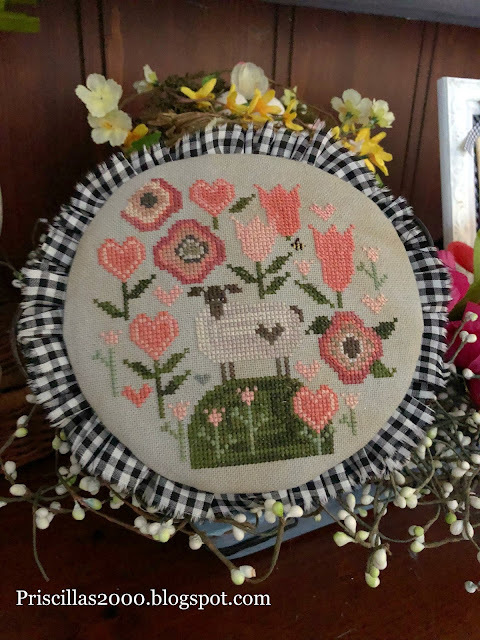 I changed the greenery and the sheep and also used Classic Colorworks queen bee for the tiny over one bee..and Classic Colorworks Old Money for the tiny over one heart .. 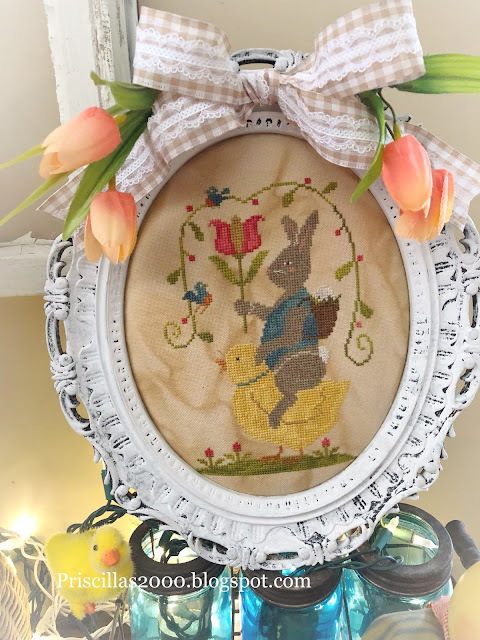 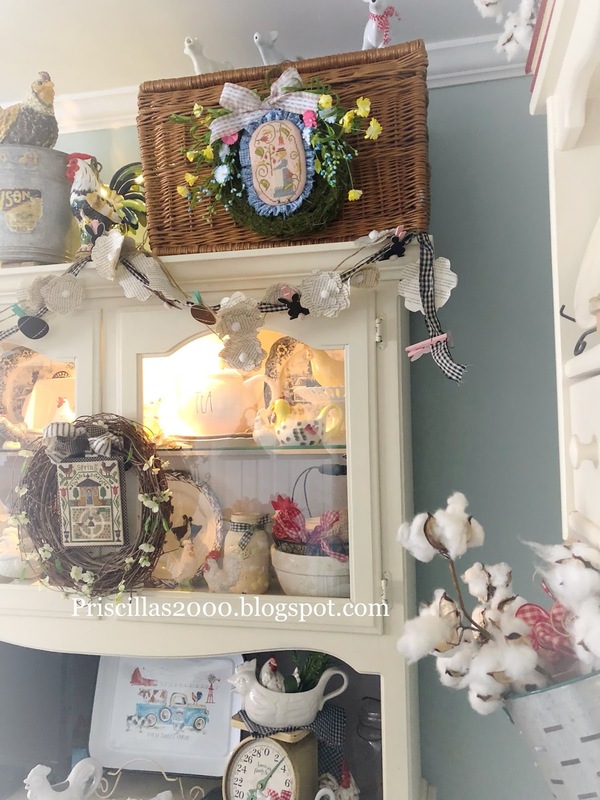 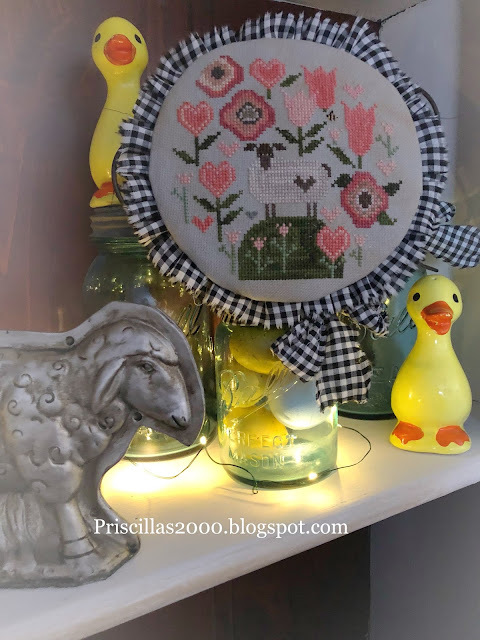 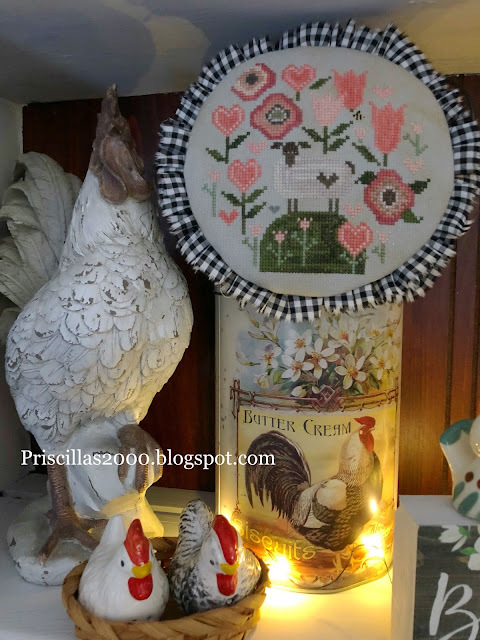 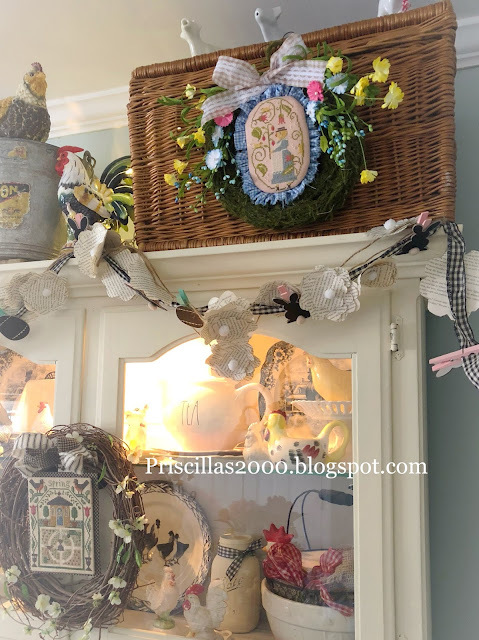 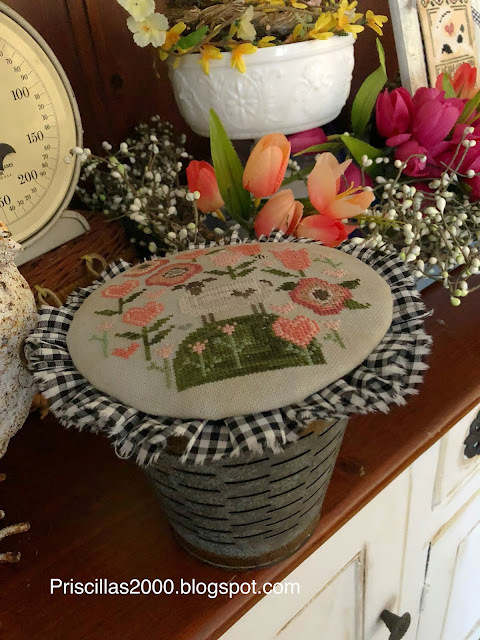 I love it on this little bucket because you can either stand it up or turn it on its side ..
For now she is in the hutch in the family room .. with a lot of other spring goodies! Thanks so much for stopping by! Here are three spring finishes ..stitched by my daughter Chelsea and finished by me .. First is Lizzie Kate 4 seasons spring .. finished onto a flea market tray .. 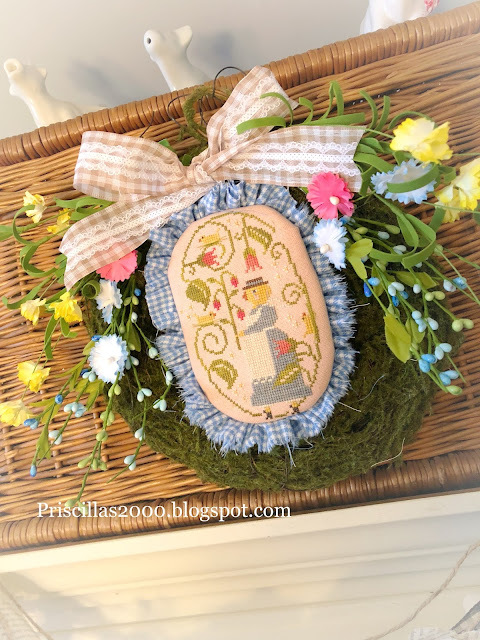 I ruffled some torn aqua gingham and stitched a little carrot from felt and added a little piece of Christmas greenery for the carrot top .. a couple sprigs of spring colored berries and a gingham bow with lace for the top .. it is stitched on 28 count tea/coffee dyed Monaco ..as are the other 2 designs shown here..
also from Lizzie Kate April from the little monthly charts .. 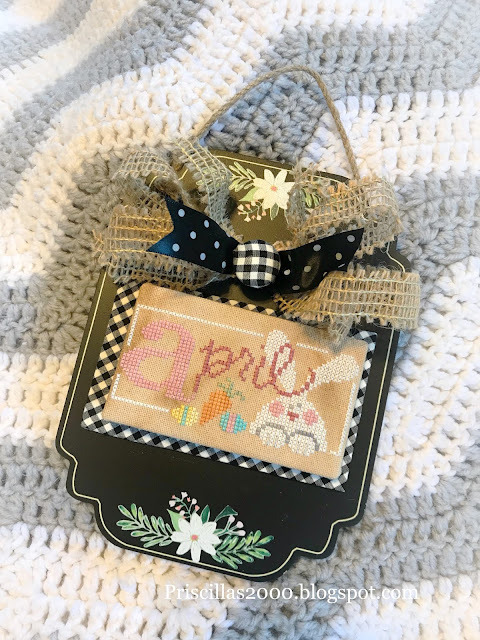 I mounted it onto sticky board ..then black gingham and used a magnet and a washer to attach it to this little chalkboard I found at Michael's..polka dot ribbon , burlap ribbon and a gingham covered button are the decorations on this piece..
Last .. With Thy Needle and Thread April wordplay .. 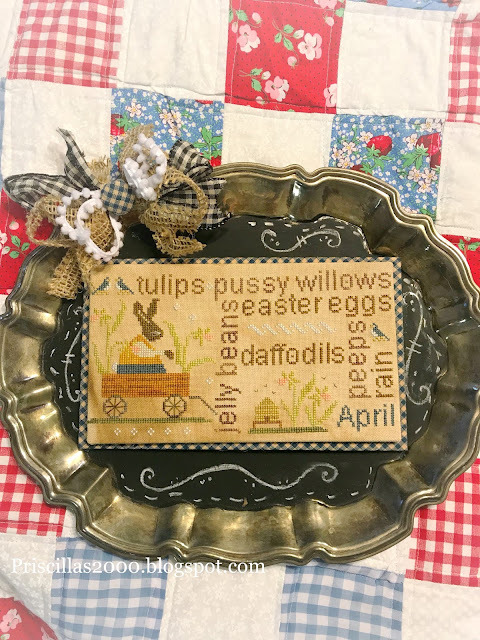 I used the same flea market tray we had painted with chalkboard paint and mounted the stitching on sticky board .. blue homespun check was used for the backing and then magnets to attach to the tray ..I also used a magnet on the bow so it can be changed out as well..
Is she just not adorable ?!? 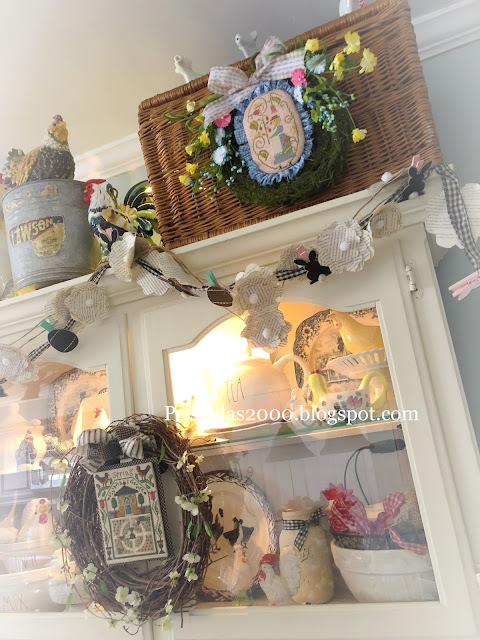 I changed up some of the colors ..they are all shown above .. 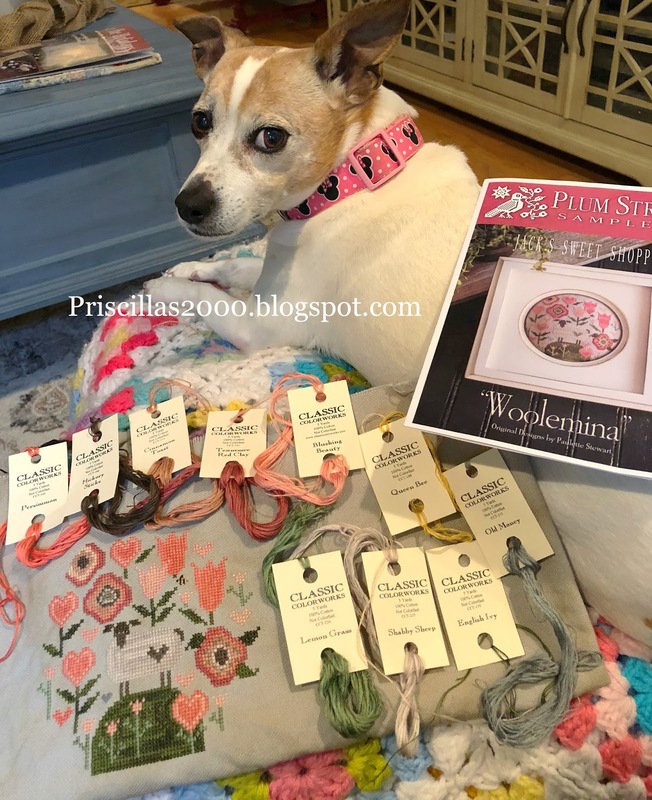 I stitched her on 28 count Priscilla/Chelsea dyed blush pink :) ..which we dyed white Monaco pink then put it in a tea bath ...it is such a pretty shade of pink I wish it showed up better.. 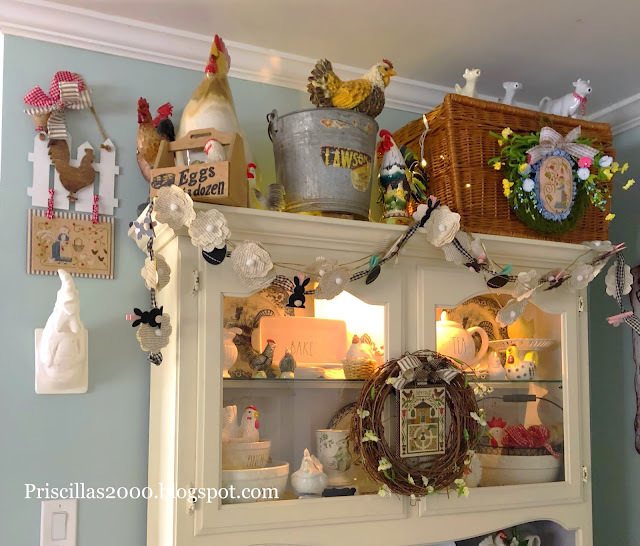 I attached it to the big picnic hamper that sits on top of my kitchen hutch .. I used 2 layers of batting ..sticky board and some torn and then ruffled blue check flannel ..I attached her to a moss wreath I found at Joanne Fabrics ...added some pics and a beige gingham bow.. 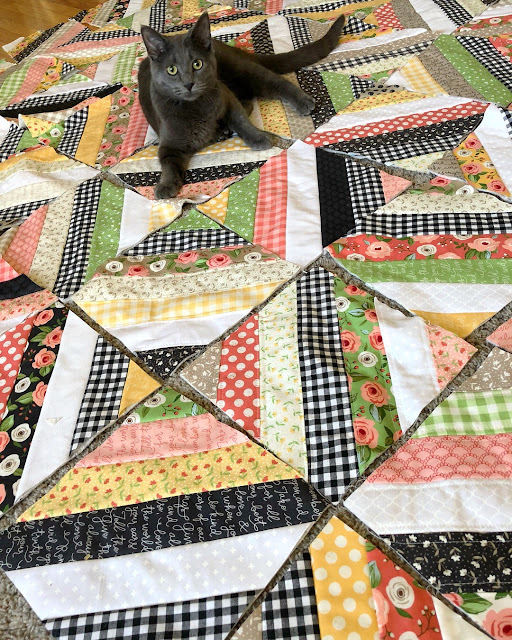 This was a quick one to stitch ..just a couple days and she was all finished ! Now to figure out what to stitch next! I finished stitched With Thy Needle and Thread , Easter Parade today and got it all finished up and displayed! I found this frame at Walmart last Fall.. it is plastic and was gold.. 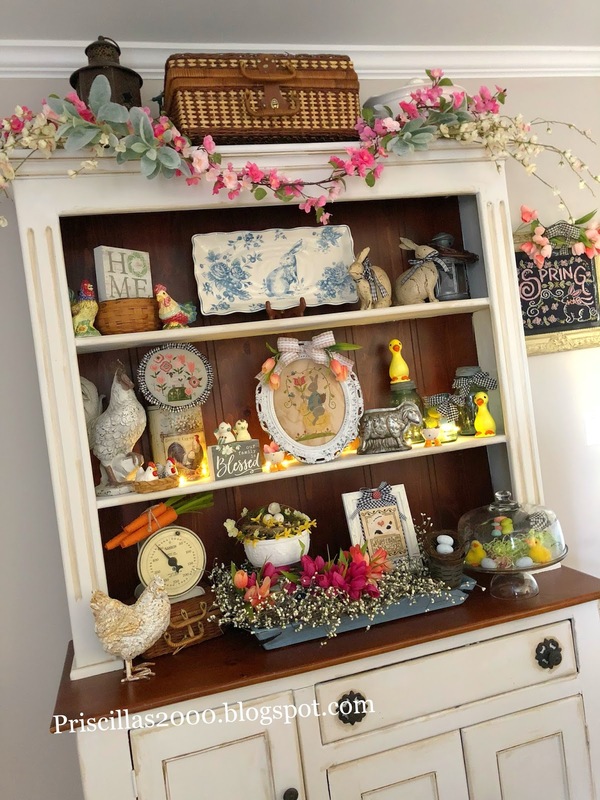 I painted it with black chalkpaint and then white chalkpaint .. it is amazing! 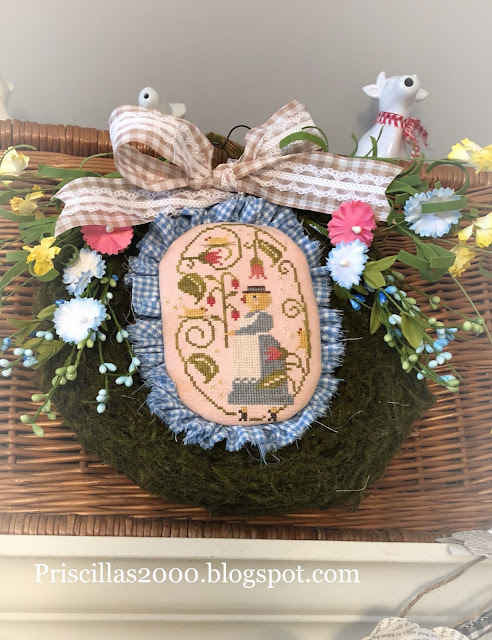 It looks vintage but it is definitely not! 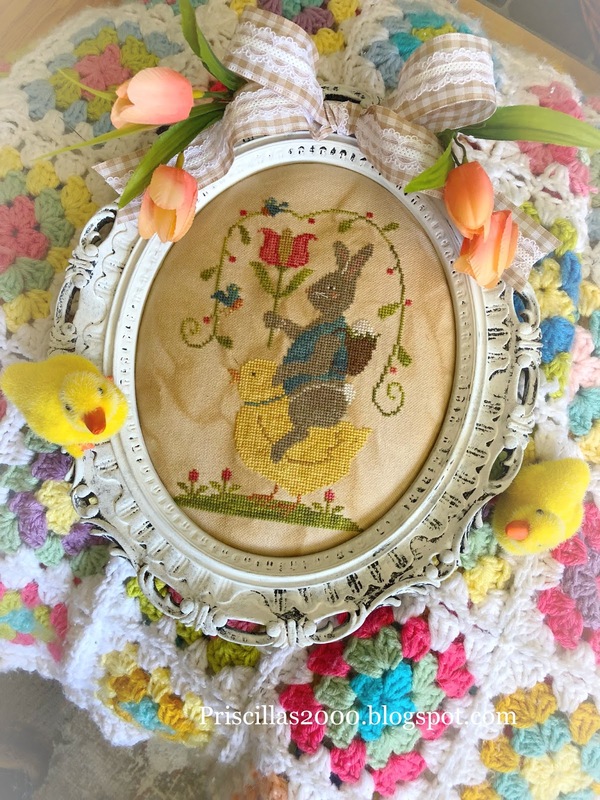 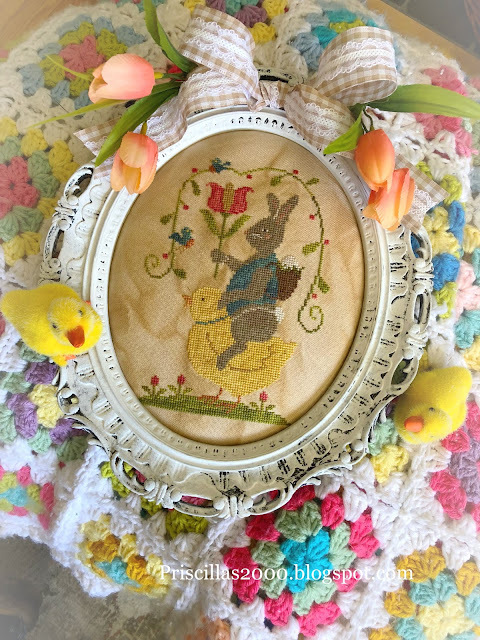 I stitched this adorable rabbit and chick on 28 count tea/ coffee dyed Monaco .. 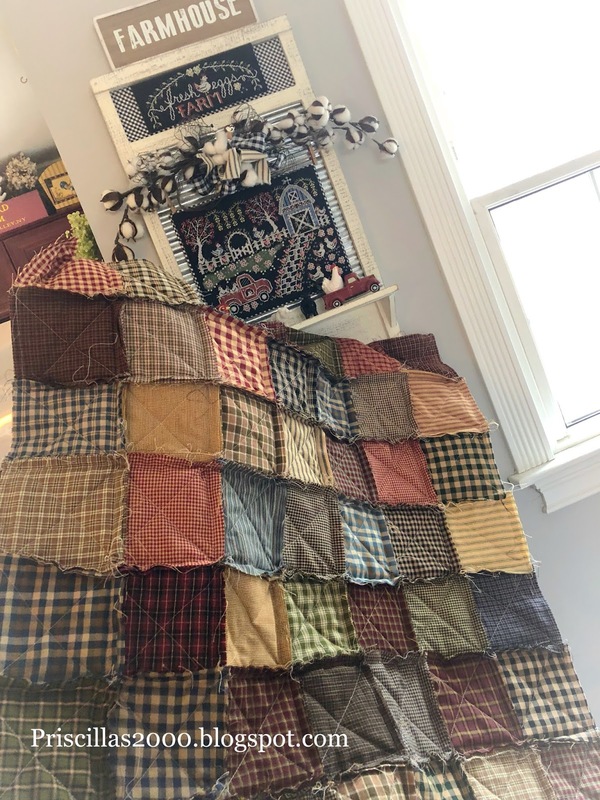 I changed a lot of colors and those are all shown above.. I used 3 layers of batting and just sewed it around the backing of the frame .. 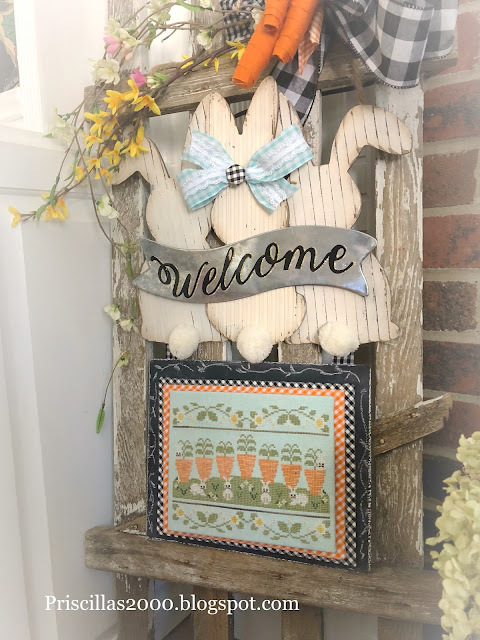 I added a tan gingham bow to the top with a couple peachy pink tulips draped down .. its adorable ! thanks so much for stopping by! 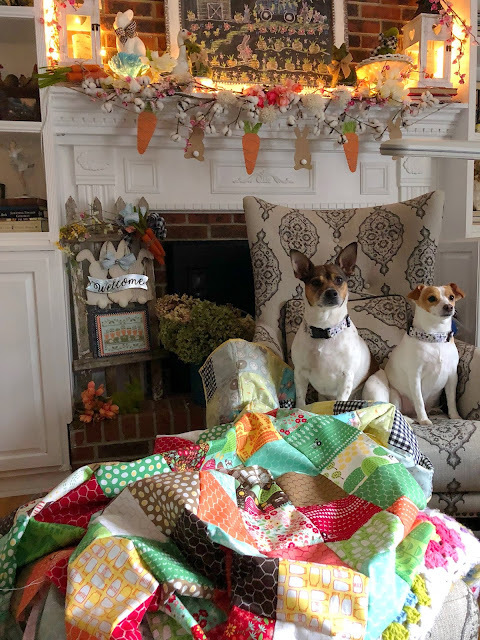 Hope your week is going great! Welcome to the Carrot Patch! This turned out so adorable.. can you stand the cuteness!?!! 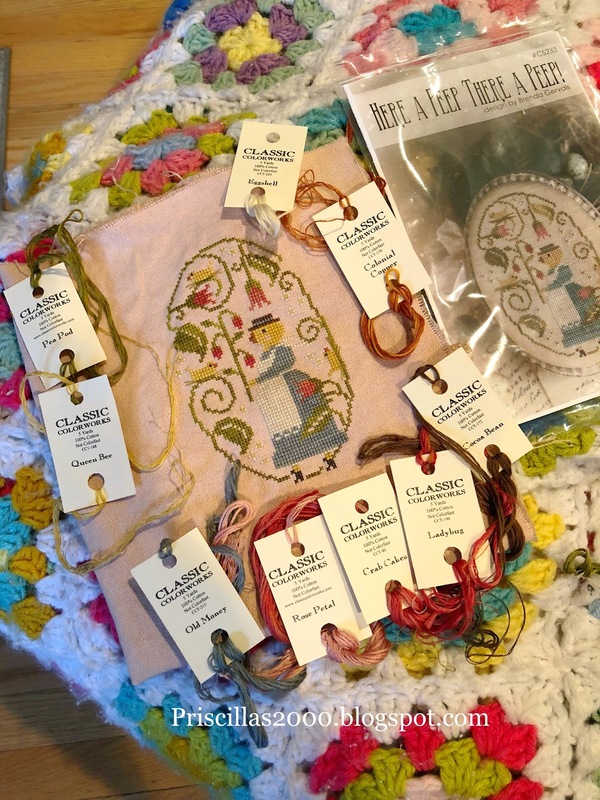 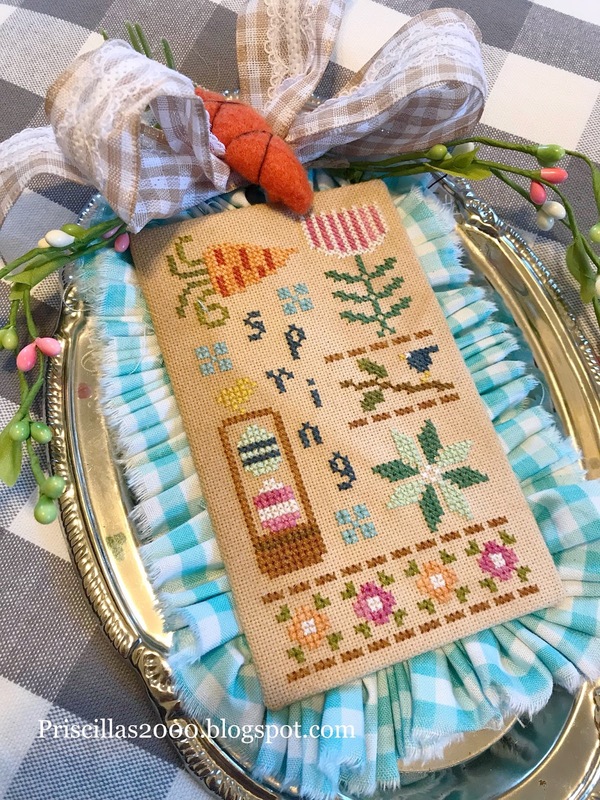 It is Welcome Spring by Country Cottage Needleworks ..I stitched it on 28 count Monaco that my daughter Chelsea and I dyed aqua with Rit dye , then also tea dyed.. I changed up colors and you can see what I used above.. 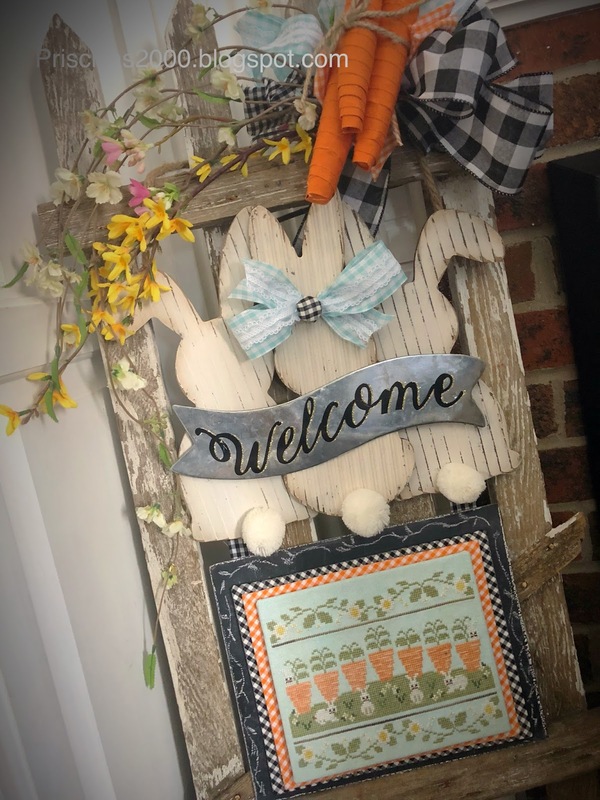 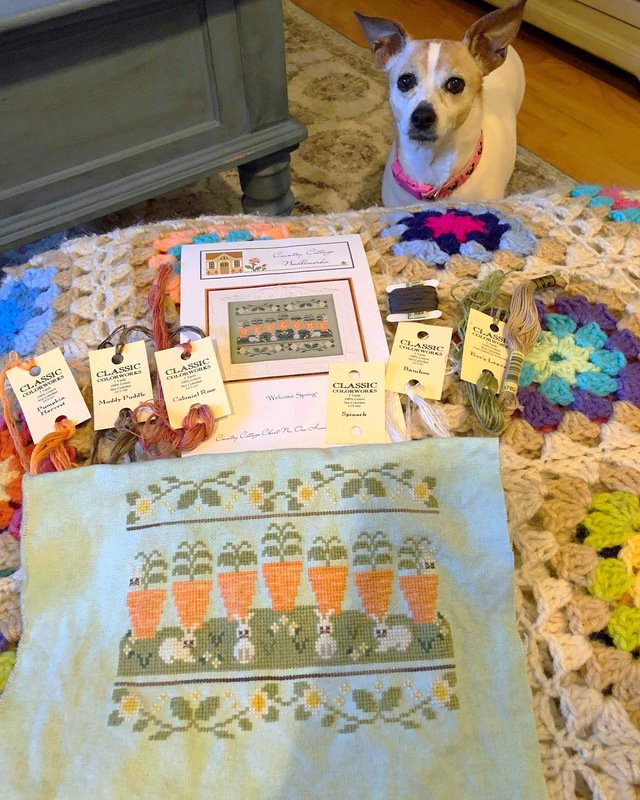 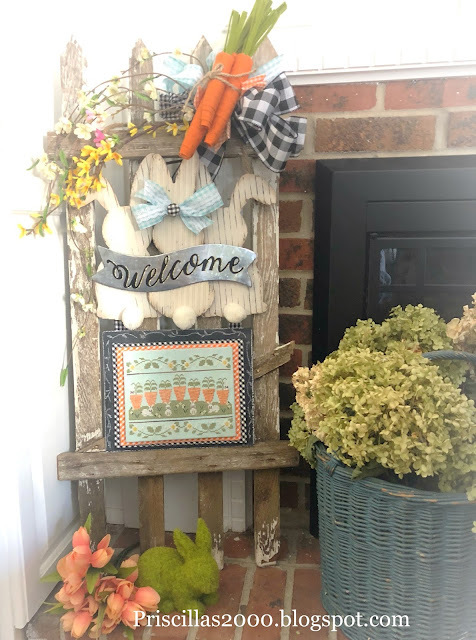 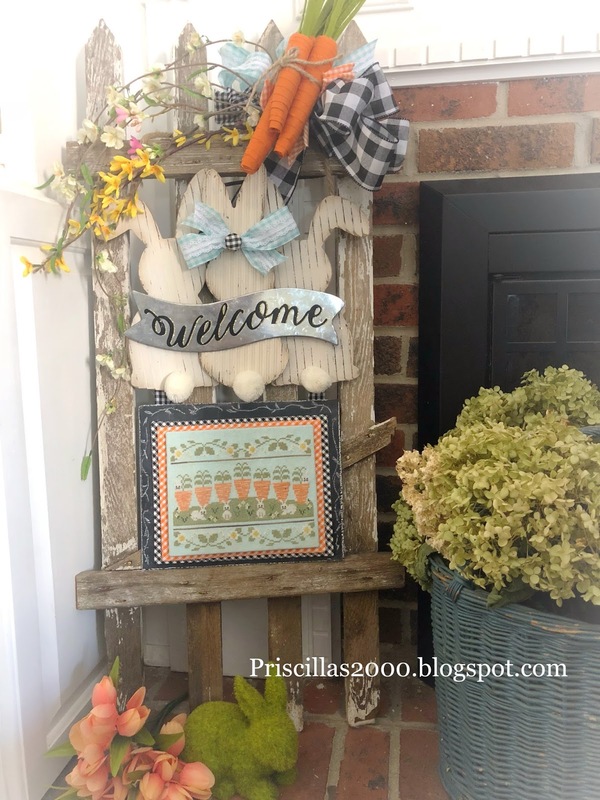 I also left out the welcome on the carrots because I knew I wanted to use this bunny sign..the bunny sign is from Hobby Lobby and the carrots from Walmart .. It looks perfect with the carrot patch mantel! 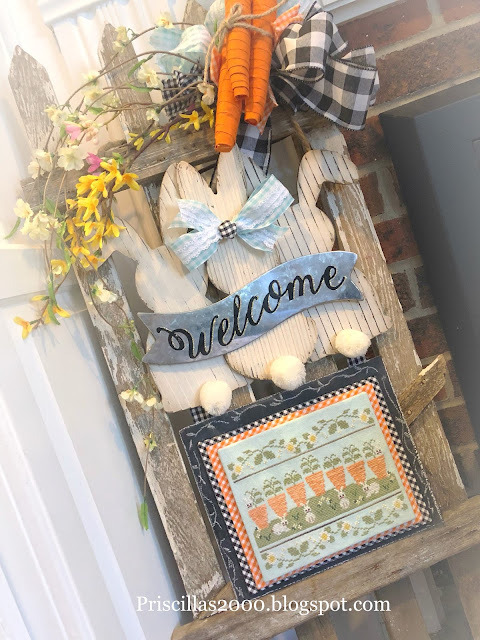 I made a bow from aqua gingham ribbon , and ripped pieces of black and ornage gingham .. flower blossom strands and a bundle of carrots add to the bow .. I also ripped off the bow that came on the piece and added a aqua gingham bow and covered a button with black gingham for the center.. I Painted The Craig's List Hutch!